At Ceyline Shipping we are committed to providing a comprehensive range of outstanding crew recruitment and crew management services. 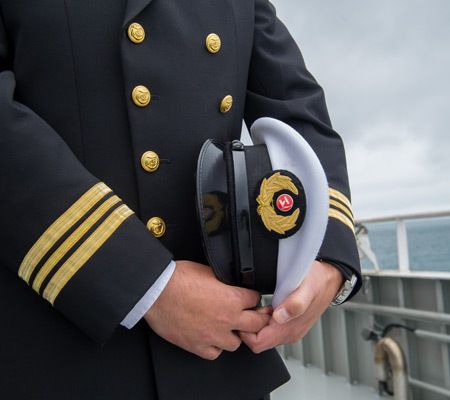 Our Management team led by former Merchant Navy Captains and Chief Engineers give us the inside knowledge required to fulfil the needs of our principals whilst satisfying the expectations of the seafarer. We emphasize on superior quality and continuous support to help us remain the number one crew management company in Sri Lanka. Our team of professionals engage in extensive multistep selection process to ensure that the right man is recruited for the right job. Our Crew Pool is our most valuable asset, and the efforts we take on building a long-term close relationship ensures loyalty and long term success to all stakeholders of this business. Number ONE crew Recruitment and Placement Company in Sri Lanka.